Freaking out about BACK TO SCHOOL? Has summer derailed your kids sleep routines? But I get it. I really do! I’m a mother myself and I know how precious these summer months are. You want to squeeze every minute of joy and togetherness you can from these glorious days. If it’s a choice between consistent bedtimes and staying up to watch the fireworks, I mean c’mon. That’s no choice at all. So no matter what might have happened over the summer vacation, all is forgiven. 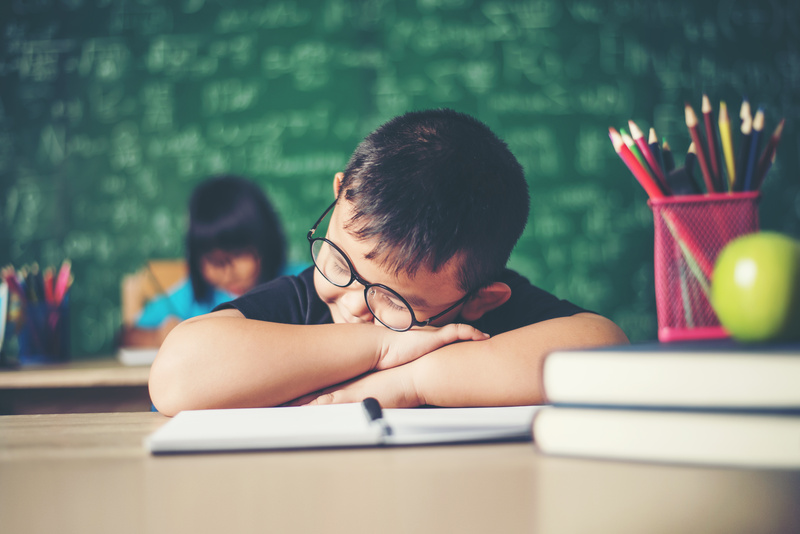 The mission now is to get your child back on track so that they can get back to sleep at a reasonable hour the day before they head back to school. So I hope you’ll keep reading without fear of any finger wagging or talk of what you should have done differently. I promise you, it’s not in here. What time should your kids be going to bed? Well, a lot of parents I work with are surprised to hear that I recommend somewhere between 19:30 and 20:30 at night. They’re even more surprised when I tell them that I suggest they keep that bedtime until their child is about 12 years old. There are two reasons why I think kids should be in bed, and by that I mean sleeping, by 20:00 at night. First, kids need at least 10 hours of sleep a night. An extra hour or two on top of that is never a bad thing, but you obviously have to make those adjustments based on your own observations. P.S. we are talking about school kids here, obviously young children, toddlers and babies have higher sleep needs. Regardless, if your child needs to be up by 7:00 in the morning in order to get ready for school, they should be asleep by 21:00 at the latest. Factor in the time it takes them to get to sleep after they get into bed, plus the inevitable request for a glass of water or a totally bogus insistence that they need to use the bathroom half an hour after you close their door, and 20:00/20:30 is pretty much the latest they can get to bed and still get the sleep they need. Second, you, as a parent, and your partner if there’s one in the picture, need to exist child-free for a few hours a day. You need to be able to watch TV with swear words, to be able to eat some junk food without fear of being spotted, to just do grown-up things and to recharge those parenting batteries. It’s vital to your relationship with your partner and with your kids. Alright, so now that we know WHEN to put our kids to bed, let’s move on to the significantly more difficult issue of HOW! Hopefully you’re reading this while there’s still a couple of weeks before school gets back in, because the easiest way to get back on track is little by little. If they’ve been going to bed at around 22:00 for the better part of their vacation, try moving bedtime up by about 15-20 minutes every 3-4 days until you’re back to their normal bedtime. If this requires a little deception on your part by adjusting the clocks in their room, you just go ahead and get deceptive. Sometimes the ends really do justify the means. If you had an effective bedtime routine before your summer vacation threw everything into upheaval, then try to re-implement it as much as possible. Familiarity will definitely help your child settle back into the schedule quicker and with less resistance than trying out something new. On the other hand, if this is your first go at implementing a bedtime routine, let me just stress how much easier a repetitive, predictable bedtime routine can make your life. When your child’s body and brain start to associate things like baths, stories, brushing teeth, putting on PJs, all done in the same order at the same time every night, it cues up their melatonin production, making sleep come easier. Involve your child in setting up the routine – it will be fun for them and you won’t be the bad, demanding parent telling them what to do. Never ever engage in power struggles! Decide together what to include into the routine, draw a routine chart together, make a game out of it by using magnets to tick off each tasked after they were completed. The routine should be something they are looking forward to and the moment of the day when they can connect with Mum or Dad without any interruptions. So include story telling time, a few minutes of a relaxing activity with parents etc. as well. I seriously can’t recommend bedtime routines highly enough. Of course, things like baths and stories are super fun, so there is a tendency for your child to try and negotiate for more time in the tub, or one more story. If you find yourself constantly having to play sheriff, a timer can be your best friend for keeping things on schedule, and as silly as it may sound, takes the blame off of you and puts it on the timer. Mom can be reasoned with, but the timer is downright unwavering. I recommend the TIME TIMER, which is a visual timer, which especially helps younger children to understand how much time they have left to finish an activity or task. And while we’re on the subject of light, for many of you living in the northern areas of the planet, you may notice that it doesn’t get dark until significantly later than 20:00, and the only thing that simulates sunlight better than a TV screen is… y’know, actual sunlight. If your child’s bedroom is still lit up when you’re putting them to bed, I suggest investing in a set of blackout blinds. It doesn’t have to be anything fancy. You can get a six-pack of cheap blinds on Amazon, or even something called non-adhesive window film, which is just plastic you can cut to size and slap up over the glass. If you’re concerned about aesthetics and willing to spend the money, there are plenty of color options besides black that still block out the light. Whichever way you choose to do it, get that sunlight out of the bedroom. It’ll make a world of difference, I promise you. One final thing to add here: Having experienced some leniency regarding bedtime can suddenly transform your child into an astoundingly sharp lawyer. Arguments for why they should be allowed to stay up later are likely to be heard for at least a few days and, potentially, the next eight or ten years. Luckily, parenting is not a democracy. It is a glorious dictatorship where “Her Highness, the Momma (or Dad),” makes all the rules. Don’t give in to the pressure, because as I said earlier, this 20:00/20:30 bedtime is going to be in place for several years. The sooner they accept that as the norm and their summertime hours as a special circumstance, the easier this whole bedtime thing will be for you and for them. If none of that works, you should seek advice from a pediatric sleep consultant. I offer a free sleep evaluation so we can explore the current issues and see if a sleep consultant is a good fit for your child’s needs. Schedule a FREE sleep evaluation here (click).